seamless restaurant and accommodation management solution. 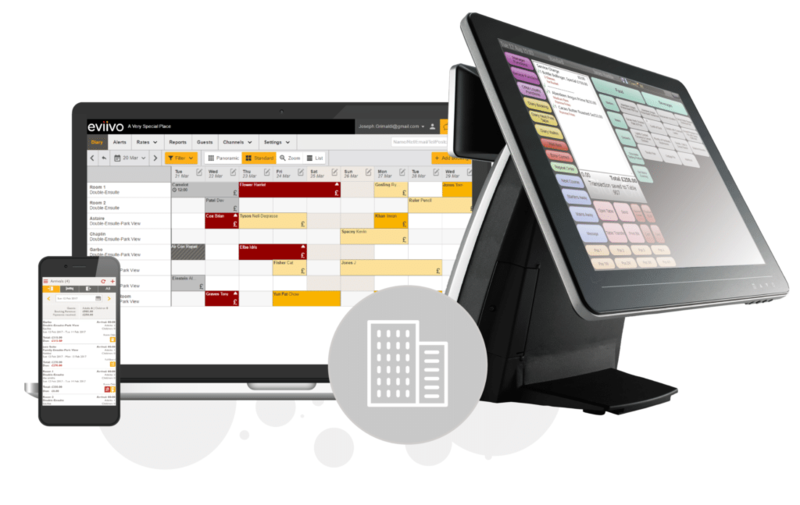 Tevalis and eviivo have integrated their respective Epos and PMS offerings, to deliver a unique and seamless restaurant and accommodation management solution. The integration provides full end-to-end visibility on all food and beverage transactions within the hotel, pub, B&B or guesthouse. In return, this improves efficiencies and deepens an innkeeper’s insight into the business performance of their food and accommodation businesses. The partnership was born out of genuine customer demand for simpler, more ergonomic solutions as well as a desire by both companies to extend their functional coverage by bringing together best-of-breed expertise and technology. This integration will now help hotels, pubs, inns and guesthouses everywhere, to manage and post all customer expenditure in their establishment directly from the point of sale. Guests can now order food, beverage and other items and have them charged directly to their rooms. Accommodation providers are able to access a unified view of all guest transactions across their restaurant, bar and accommodation business. Further functionality includes viewing room charges, finding the guest’s room via a simple look up directly in the Tevalis point of sale. Alongside this, the ability for the accommodation provider to decide whether to post every line item or just summary information into their eviivo property management system. – Chris Jolliffe, Head of Sales, Tevalis. eviivo is a leading online booking specialist for independent hotels, B&Bs and vacation rental accommodation across Europe. Their award-winning ‘eviivo suite’ product enables customers to take and manage online bookings, advertise and update rates on all major OTAs, and manage guest communications. All of which puts eviivo customers on an equal footing with international hotel chains! Their 12,000 customers span B&Bs, guest houses, pubs and inns, restaurants with rooms, serviced apartments, villas and cottages, hostels, and even boats, castles and windmills. They put customers in control by helping them to increase revenues and occupancy online, on their own terms. What’s included in the eviivo suite? A free Google-friendly, mobile-friendly accommodation website to help you tell your story to the world. A beautifully designed booking diary, fully responsive to work and display perfectly on all device. A channel manager to advertise your rooms on all the major travel websites globally, all year round. Safe, simple online payments: Validate or preauthorise guest cards automatically in. Automated, scheduled emails to guests pre or post arrival, along with guest review management tools. Integration with Tevalis to provide hoteliers full end-to-end visibility on all food and beverage transactions. See what their customers say.